Loop around the ‘Heel of Italy’ along the coast from Otranto to Gallipoli. Brand new for 2017 we are bringing you the opportunity to explore the Puglian region of Italy on 2 wheels. Puglia is located in the southeast in what is commonly known as the heel of Italy’s boot, and also its best kept secret...until now!. Our route starts in Ostuni, in the heart of the Trulli region before heading to Lecce, the 'Florence of the South'. 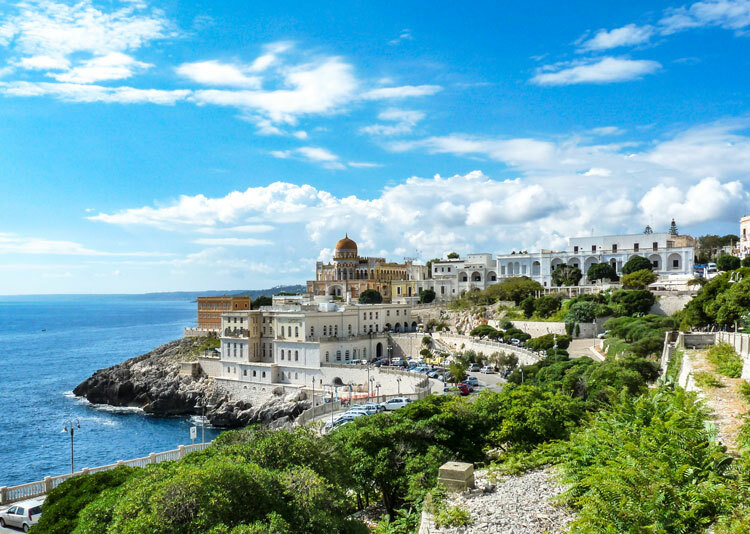 From here we head south along the Adriatic coast and the heel of Italy then looping back up north along the Ionian coast and cross country through ancient olive groves, whitewashed hilltop villages toward Alberobello, a town made up of 'Trulli' houses. Our route follows sections of the EuroVelo 5 route. Our final destination for this week is Matera, just over the border into Basilicata, but famous for the 'Sassi', a whole town's houses carved out of the soft rock where people have lived for over 9,000 years!